T (group). See Gruppo T.
Tabuada Paulo. Professor, Systems theory, concerned by generative art. TAG. Centre de recherche Technoculture, Art and Games. See Hexagram. Tait Jack. A specialist on graphic machines. Tak Young-kyung. He paints with a tablet. - Communion (2000 c.) Article in the Korea IT Times 4/26/2011. Takasugi Kazuo. Music. Cited by [Lehmann]. Collection of sounds. A webpage. Takatani Shiro. Biography.Theatre and multimedia. A former member of Dumb Type group. 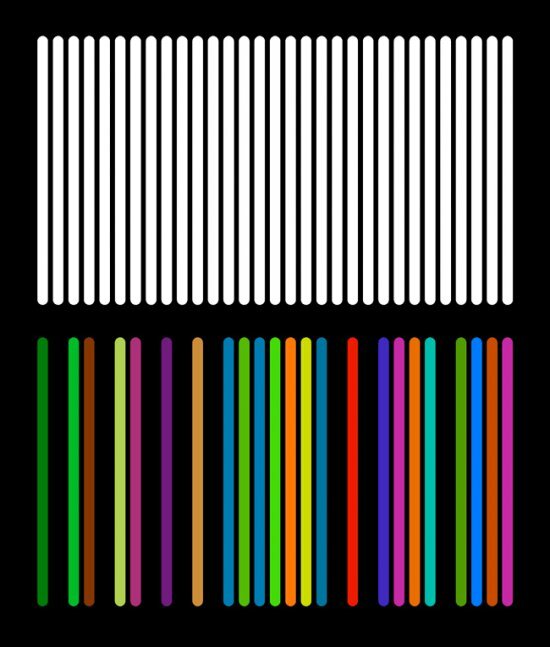 > Chroma (2012). Announcement by Epimail , after a document sent by Richard Castelli, d'Epidemic. > Modelization of algae (2000 c.) in CyberArt2004. > Sensorium (1996). Quoted with a picture by [artpress 2015]. > The Graveyard (2003) A large picture in [Lieser]. < Jumping Rope (2000 c.) with Orna Portugaly and Sharon Younger. > Objet K 100 B, K368 (1961). Aluminum and plastic. Quoted by Darko Fritz in [Lartigaud]. Tamegaya Hideichi. Member of the board of Adada. He is mostly a scientist, specialist in digital television. . Note in the presentation of a Brasilian/Japanese conference, November 2011. Tampon-Lajarriette Marion. Photographer and multimedia. Tamuraj. Pseudonym of Valery Vermeulen. Tangible Media Group. MIT. Home web. Led by Hiroshii Hoshii. > eDavid robot (2012). Painter robot. Communication by Oliver Deussen, Thomas Lindenmeier, Sören Pirk and Mark Tautzenberger. < Composing for the Interactive Medium by Taylor Robyn, Schofield Guy, Shearer John, Wallace Jayne, Wright, Peter, Boulanger Pierre, and Olivier Patrick. On line. Communication at Vric 2011. > Tierra (1991). Virtual operating system, with its own machine language and a fixed size memory (quoted by Alain Lioret). Teamlab. Founded in 2001, it is an art collective, an interdisciplinary group of ultratechnologists whose collaborative practice seeks to navigate the confluence of art, science, technology, design and the natural world. Various specialists such as artists, programmers, engineers, CG animators, mathematicians and architects form teamLab. They aim to explore a new relationship between humans and nature, and between oneself and the world through art. Digital technology has allowed art to liberate itself from the physical and transcend boundaries. teamLab sees no boundary between humans and nature, and between oneself and the world; one is in the other and the other in one. Everything exists in a long, fragile yet miraculous, borderless continuity of life. > Beyond Limits (2018). At La Villette. Tehrani Nader. Architect/designer and professor, Georgia Institute of Technology. Wikipedia. > A Change of State (2006). Installation. "The task of the project was to analyze an develop a three-dimensional installation whose fabrication method was limited to a two-dimensional material" [Iwamoto]. Tekno-mind. Page web Tekno-artistik network, mental prospective. Teleportacia. Net Art site, mainly by Olia Lialina. Teles de Castro e Costa Isadora. Technical Artist. Generative art, interaction, virtual reality. See Vimeo video. > Aliaj Angelus (2018C), by Isafora Tels de Castro and Alexandre Gomez. - Connected TV. Two pages by Richard Sénéjoux in Télérama, 15/6/2011. More in French. > Your memory connected (2005 c.). At Siggraph 2006. Squarecollage. < Vocabulaire de géométrie pour l'architecture. Ontologies pour modèles de synthèse. Paris : Presses des ponts, 2017, 220p. Terzidis Kostas. Impressive personal site, Metaxy. 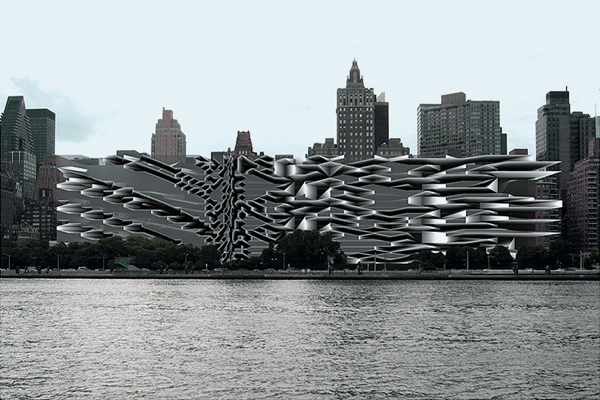 < Algorithmic Architecture. Elsevier 2006. < Algorithms for Visual Design, Using the Processing Language. Wiley 2009. - Founder in 2000 of the MxM group. > Electronic City (2007). A Falk Richter work. > Internet -Million Dollar (2006). [Forest 2]. Combination, very profitable, of small commercial ads spaces. < Arts/sciences alliages, by Iannis Xenakis, with interventions of Olivier Messiaen, Michel Ragon, Olivier Revaults d'Allonnes, Michel Serres and Bernard Teyssèdre. Paris, Casterman 1979. < PV 868 (2008). Audiovisual performance. [Moulon] p. 24-25. Thalmann (team). Swiss artist. [Lioret ]p. 117. < Handbook of virtual humans. Edited by N.Magnenat-Thalmann and F.D. Thalmann. Wiley 2004. SH No 44 (biblio). < Artificial life and virtual reality. N.M. Thalmann et D. Thalmann eds. Wiley & sons 1994. Thayer Pal. Painting and audiovisual. Turbulence page : Having begun as a painter, with painterly aspirations, Pall's big conversion to computers came while a guest student at the Helsinki Academy of Art in Finland in 1997. Although Pall had been using computers and programming since about 1983, he hadn't quite accepted them yet as an artistic tool. However, in Finland he was introduced to an assortment of software and hardware that allowed for programmable, multi-user interaction and this was exactly what he was waiting for.Since 1997 Pall has created a variety of audio-visual installations and web-based work involving multi-user interaction. The main theme throughout his work is visual abstraction. < La victoire des algorithmes. 10 pages in [Lartigaud]. Theobalt Jean-Christophe. Biography. One of the main leaders in the ECM (Etablisssements culturels multimédia) network. Théoriz. A group formed by Jonathan Richer and David Chanel. > Hybrid Love (2015) I, II and III. with Dancing robots with fancy dressing. Theremin Léon. One of the first synthsizers, with the Martenot Waves (Maurice Martenot). - [Popper 1] p. 21. > Bodydrum (2003). Performance. Cited by [Dixon 2007] with a picture. More a costume than properly digital. Théry Flavien. A multimedia artist. > Inverted relief (2016). See our post about the Galerie Charlot show in 2017-18. > Vision Cones (2016) Plexiglas, wood, modified LCD screens, computer. Thery explores the borders of perception/optical constructions. > Black Hole (2015). Light instalation, plexiglas. Digital ? > Spectre (2014). Will be presented in May 2016 at Maison Populaire de Montreuill. - In 2013, an interactive work, done with Fred Murie. > Les contraires 1 (2012) . Prismatic decomposition of light on a modified liquid crystal screen. > La part de l'ombre (2005), lights inside Limoges porcelain cylindric pieces. The Tissue Culture. Artistic bio-art project. Founded by Oron Catts. The Thing. Collective project, launched 1991, in New York. [Greene]. The University of Electro-Communications. Kaimoto Laboratory. Koiko Laboratory. Theverymany. A group led by Marc Fornes. > Recursive Growth (2007). Generative sculpture. 4 pages with pictures in [Bohnacker]. Thévin Olivier. A painter (sort of watercolor), using the computer as a tool. They Rule. A graphical system, by Josh On et FutureFarmers. Thibault Alain. Music composer. A member of Purform. < La géométrie des émotions. Mardaga 2010. > Eden Garden (2017). Immersive insallation, by Raphaël Thibault and Hyun-Hwa Cho. Thiel Tamiko (and Houshmand Zara). Virtual and augmented reality. > Carnation Rain (2011) Cited with picture in Artpress2 Art in the digital age, May-June-July 2013. Augmented reality. > Installation Virtual Buildings (2008), with Teresa Reuter, quoted by [Lieser] with pictures. > Beyond Manzanar (2000) [Paul]. Virtual reality. < Press On, Principles of Interaction Programming. MIT Press 2007. This Hervé. Inventor of molecular cuisine. Wikipedia. - Interview in Cnes-Mag, January 2011. 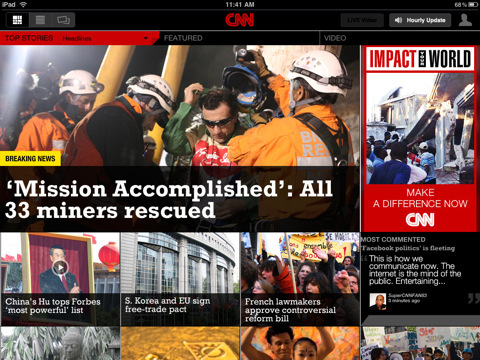 Thomson & Craighead : CNN interactive just. Thomson & Craighead Art on the web. British tandem : Jon Thomson and Alison Craighead. > CNN interactive just (1999). [Paul]. > Trigger Happy (1998) [Greene]. > Xenodream. Fractal creation software. Thornton Leslie. Painting. From the 2010's. > Binoculars. Series of video art using kaleidoscopic effects (probably through optic devices, not digital). Shown in Galerie Zürcher, Paris, on Fall 2012. Thorp Jer. Page Studio for creative inquiry. Visualization of large data and the many-folded boundaries between science and art. A former geneticist, Thorp has visualized the UK’s National DNA Database, mined Twitter data to find people’s travel paths, visualized 10 million phone records, and mapped traffic in some of the world’s busiest sea ports. > New York Times 365/360 (2009). Commented on with works by [ Debatty et al. 2011]. > alpha 3.4. (2002) by Charles Lim Yi Yong and Woon Tien Wei. Web with GPS. > alpha 3.3. (2001) by Charles Lim Yi Yong and Woon Tien Wei. Weg with GPS. Tinguely Jean. Sculptor, kinetic art. > Méta-matic (1959). 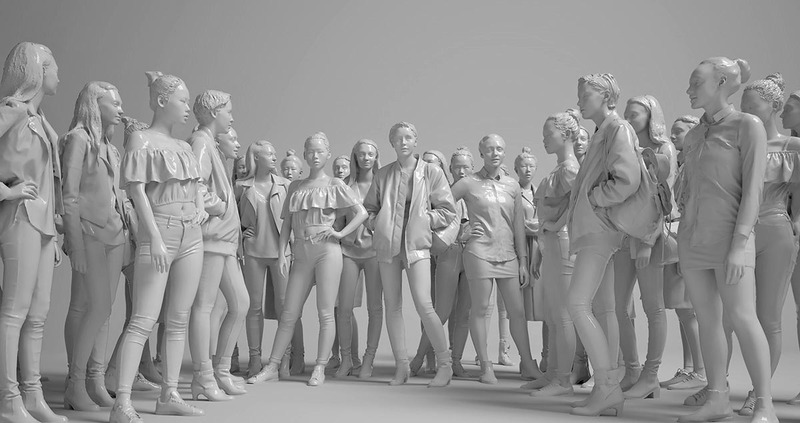 Animated sculpting sculpture. < Museum Jean Tinguely Basel. The Collection. 1996. Web page. < Enfants sous influence. Les écrans rendent-ils les jeunes violents ? Armand Colin 2000. < Psychanalyse de l'image. De l'imago aux images virtuelles. Dunod 1997. The Tissue Culture & Art Project. Group founded in 1966 by Oron Catts, then with Ionat Zurr. < Victimless Leather (2004). [Moulon] p. 111-113 with photo. - Concepts and theory of computer programming "art oriented". An interview by Samuel Bianchini in [Lartigaud] (12pages). The Tissue Culture & Art Project. Group founded in 1966 by Oron Catts, later joined by Ionat Zurr. < Victimless Leather (2004). Leather generation by culture. Generative but not digital art. [Moulon] p. 111-113 with photo. - Interview by Laurent Delahousse at JT of France 2 (April 3, 2011) (Indicated by Anne-Claire Berger). > Cracking Data Machine (2014) by Ali Tnani and Lukas Truniger. A connected (Wifi) machine transforming data into sounds, with a grotesque mounting of paper and parts of a printer. > Data trails (2014-2016) Generative video. Tobin Amon. Electro-experimental producer. Wikipedia. Tobrelutz Olga Page. Figuration Féminine. Tokui Nao. Artist, scientist, manager... see his Qosmo website. > Pulsar (2011). (Pulsating radio source). with Maria Klonaris. Digital video. See Artmedia X.
Toma Yann (Wikipedia) (FR) . Charcoal and watercolor. Tomasello Luis. [Popper 1] p. 99. Not truly digital. Tomato. 8 pages in pages in [Cameron]. > Connected Identity (2002). Interaction. > Taller than most (2008). Self ajusting set of three platforms, so that thhree persons standing end with their heads at the same level. Toret Jérôme. Painter and plastic sculptor. Not digital, but mostly interested by mechanical devices. - Curator of the digital department of Hivernales 2012. Torralba Antonio. Works on pattern recognition in images. Article in the MIT News office, December 2011. > Composite image with many photos. Torres Santiago. Hosted by Denise René Gallery (Paris). > Real time raster (2016) Tactile PC. Graphic plays. Torres, from year to year, increases its shapes and palettes variety. At Variation. - At Denise René's in 2012. Our note. Naoko Tosa: Neuro baby. A work typical of Japanese bend towards sensitivity. > Neuro baby (2005 c.) A paper in Digital Arts. > Circuit n°5 (1989). Quoted in [Ayrault] with picture. Toti Gianni. Launches in 1993 the idea of a "total art" using the new technologies. (quoted by Alain Vuillemin in his book Théâtre et nouvelles technologies (Editions universitaires de Dijon, 2006). > Toy Story II in the Top 10 of animation film broadcast on TV. Tommaso Tozzi : QRCube (project and site). Tozzi Tommaso. Video and multimedia. See our notice. 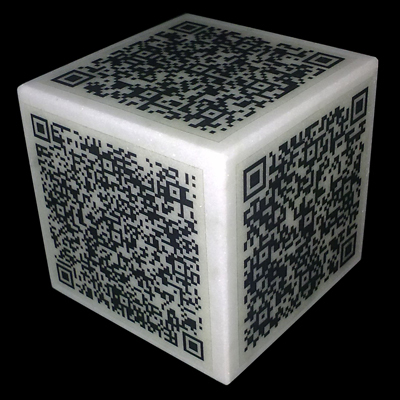 < QR Cube (2010). Project and site. < Soldatini (1981). Video wit effects. - More on the web site. Trajectoires AV. "The bond between visual conceptor Marion Carassou-Maillan and producers Ivann Uruena & Jérôme Guilleaume was built some years ago when they did their first show together in 2010. Passionate by the same visual and sound aesthetic, their various collaborations had pointed towards Trajectoires AV, their first joint creation. Trajectoires AV proposes to remove barriers of sounds and images live creation by juggling with new media and interacting between these practices. In order to use the media arts as their platform, sound as their vector, and creativity as their catalyzer, Trajectoires AV is a dip into an immersive performance in which actors are complementary and where the viewer is invited to be carried away in an organic universe like soundtracks to pictorial synopsis - A convergence between The Gulfstream and VJ MA. Tramus Marie-Hélène. Web page on Inrev website. < L'interactivité intelligente. Interview with Michel Bret and Marie-Hélène Tramus, by Patricia Kuypers and Florence Corin, in Interagir avec les technologies numériques, Nouvelles de Danse. Condredanse, Brussels 2004. - See [Couchot 2003], [Couchot 2007], Bret. < À la recherche du corps perdu, La figure humaine en image de synthèse », in Ce corps incertain de l’image (edited by Josette Sultan and Jean-Christophe Vilatte). L’Harmattan, 1998. - 1990's electronic animation with Michel Bret. > Je sème à tout vent. (1990). by Edmond Couchot, Michel Bret and Marie-Hélène Tramus). In 2015, the work is shown at Futur en Seine (see our post, including the catalog presentation)..
> La plume (1988), by Edmond Couchot, Michel Bret and Marie-Hélène Tramus).. In 2015, the work is shown at Futur en Seine (see our post, including the catalog presentation)..
- [Couchot 2 ] 264-266. Transitoire Observable. Group created on 2003. > No Other Symptoms (1998). Time Travelliing with Rosalind Brodsky [Murray]. < Image numérique couleur. De l'acquisition au traitement. by Alain Trémeau, Christine Fernandez-Maloigne and Pierre Bonton Dunod 2004. Trenda Tiffany . Performance of a dancer/model, with digital devices on her body. > Proximity Cinema (2013). Quoted with a picture by [artpress 2015]. Tresset Patrick. Personal website (work on progress). Appreciated for this robot drawing portraits from a cam image. - 2015 (winter) : "This winter saw the realisation of an exciting large scale project at the Prada Foundation in Milan where Patrick collaborated with artist Goshka Macuga for her solo exhibition entitled To The Son of Man Who Ate the Scroll, which opened in 4 February 2016. Patrick’s collaborative work with Goshka Macuga titled "Before the beginning and after the end" included sketches, texts and mathematical formulas, diagrams and schemas drawn by Paul-n on 5-10 meters long paper scrolls that are laid out on industrial tables. Patrick’s new ambidextrous Paul A robots also performed by drawing in real time. > To The Son of Man Who Ate the Scroll at the Prada Foundation will run until 19 June 2016 and can be visited at the following address: Largo Isarco, 2 20139 Milano. More information about Goshka Macuga’s exhibition and Patrick’s collaboration can be found http://patricktresset.com/before-the-beginning-and-after-the-end/ "
> 5 robots named Paul (2012) exposition in London. - Evolution and dissemination at Goldsmiths Institute. - The Aikon. (2004) , with Leymarie. 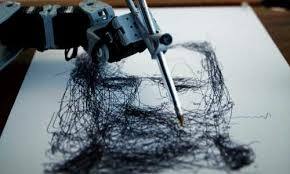 This project builds drawing robots "capable of imagining our reality". - A profile in Le Monde (11/29/2012). > Paul (2000 c.). A drawing robot. Tribe Mark.. Wikipedia. See Galloway. A founder of Rhizome. Art critic. - [Popper 2] pp. 319-321. < Philosophie des jeux vidéo. Paris, La Découverte, 2011. Tridelity Display Solutions. Autostereoscopic solutions. Trillat Germain. Artistic leader, Europimage. < L'âme ( Gallimard 1963). More in French. Troika. Group of two graphic designers, Eva Rucki and Conny Freyer, and Sebastian Noel designer as well as engineer. > UK Pavilion, World Expo Shanghai (2010). 10 pages in [Klanten]. > All the time in the World. (2008). First class and gallery lounge, Heathrow airport terminal. Stéphane Trois Carrés: anything may spring out of three squares! Troika Ranch. Company. Dance. Co-founded by choreographer/media artist Dawn Stoppiello and composer/media artist Mark Coniglio, the company "creates contemporary, hybrid artworks through an ongoing examination of the moving body and its relationship to technology." - Quoted by Florence Corin, and other authors in Interagir avec les technologies numériques, Nouvelles de Danse. Condredanse, Bruxelles 2004. > 16[R]evolutions (2006). uses the software Isadora, Mark Coniglio. affording interaction with image and sound. Quoted with pictures by [Dixon 2007]. > Midi Dancer. Flexion sensor system. > Yearbody for Solo Dancer and Internet (1996). Trois Carrés Stéphane. Algorist (treasurer of the Association). Wikipedia. > N + 1 (2009). > Electronic Wallpaper. Uses the Bakers transform. Troy Innocent. Artifical Life artist. Truckenbrod Joan. A digital art pioneer. > Fire Dance (2000) [Popper 2] pp. 75-76. Lukas Truniger : Déja entendu. > A Three Way Symbiosis (2017). See the post. > Déja entendu (2016), an opera automaton. Trutwin Tobias. Still images, transparent matters. - [Popper 2] pp. 101-105. Tsai Fabienne. Cinema and anmation. Founder of the company A droite de la Lune. See her Cross Channel page. In 2005, she describes herself as follows (our translation from French). "After having produced films during some twenty years, I set and lead multidisciplinary research labs. They group scientists (neurosciences, phenomenology, oculometry, accessibility, immersive sound, etc), engineers, creators (directors, scenario writers, composers, ... for cinema, TV, videogames, live shows or video artists) and technicians (stereographs, sound engineers, sound designers). "These labs aim to explore new forms of writing and speech through tests in real situation, in order to assess new narrative architectures, using the creative affordances of the new digital tools, or re-using existing tools, diverting them form their original usage (e.g; use videogames motors for pre-visualization and "film live writing"). "At the same time, we explore production processes able to make these technologies accessible to limited budget projects, and we have to find appropriate economic models. At present, neither funding modes nor distribution channels are effective for innovative works using these new tools. "Later, when we will have tested and progressed in our explorations, enabling us to write and produce stories with these tools (I have in mind, for instance, fiction novels and/or documentaries for VR headesets), and have stems of economic models (funding and distribtion), we will try to produce such works. TTY. Looks like a traditional sculptor, but using 3D printing, and other digital technologies.
" A visual artist. He develops two thematics jointly : one of them is about the evolution of human species and the other one touches upon the nature of artistic act and its future by the integration of virtual creation tools. His main objective is to enquire about the physical dematerialization as a major trend in the contemporary world.
" His work is focused on virtual photography, 3D modeling photography, photography, video, sculpture/ceramics, 3D print, virtual Reality and computer rt". Tuchacek Alexander. Relational, communication, social. Tudoux Thomas. Golem software for mobile phone. Tulp Wouter. Illustrator quoted by [Book], Winter 2011-2012. Tupac. Deceased in 1996, the American rapper Tupac comes back on stage, tells us Créanum, May-June 2012. A complex system of projection, with two-way mirror, lets combine holographic video images with real actors. The Libération paper. Turboflex. Video about relocations Fullgames. Turrell James. 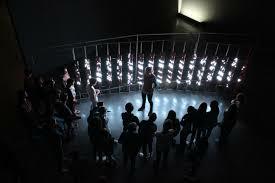 Light 3D installations. Wikipedia. - He developed the Fractint software en 1988. Quoted by [Berger-Lioret] p. 174.